This will be one of my long posts but I am dividing into three parts spread over several days. Part 2 will include one of my Arctic sea ice and temperature profiles and analyses and part 3 will include one of my Eurasia temperature and snow cover profiles and analysis. I have received several PMs along the lines of @SLEETY’s short post (a few above this one) enquiring why I haven’t been posting on the winter model thread in recent weeks. There are a number of reasons. I have been learning more about the background signals and some of the key teleconnections which I passionately feel is the next big step forward in meteorological understanding of the broader patterns which will lead to us making a little more sense of chaos theory. This will significantly improve long range forecasts on a macro scale while it remains a struggle to go much beyond the 10 to 15 day period from the much more detailed micro scale forecasts. I liaised with some of our teleconnection specialists and I decided to establish this learning thread. This is a mammoth project for me and I have focused all my spare time and energy in getting it up and running. I am fully aware of the polarised views concerning the relative merits of the science and I no longer wish to get drawn into defending the science and other posters. What better way of doing this than to create a thread for those with open minds who want to learn more about this fascinating science in order to develop more informed views in a quiet and friendly environment away from the frenzy of the winter model thread? All my posts from now on will be more slanted towards some of these teleconnections. I have also been curbing my natural preference to always look for colder patterns and I now intend to post throughout the year (it is purely a coincidence that we seem likely to see the coldest weather of this winter during February!). Although there will continue to be some analysis of the model output, I feel that my comments will be far more appropriate within this thread. In fact my long posts take many hours to prepare and they can quickly be buried on the MOD when it is busy. I toyed with the idea of cross-posting on both threads and did this on several occasions but I will no longer be doing this either. When I submit this type of post (with some model coverage) I will advertise it on the MOD with its title and a link to this thread. This will not just be to notify some of my regular readers but also to attract a few more members across to this thread. While you’re here, please have a look through the increasing number of varied and fascinating posts. Some are pretty technical but many are aimed at the learners and explain more about some of the processes. Feel free to ask questions and everyone is welcome to make a contribution to anything related to the subject. Please can you ensure that this request for data and information is passed on to the appropriate department and referred to someone who can make a decision about the service that might be provided. 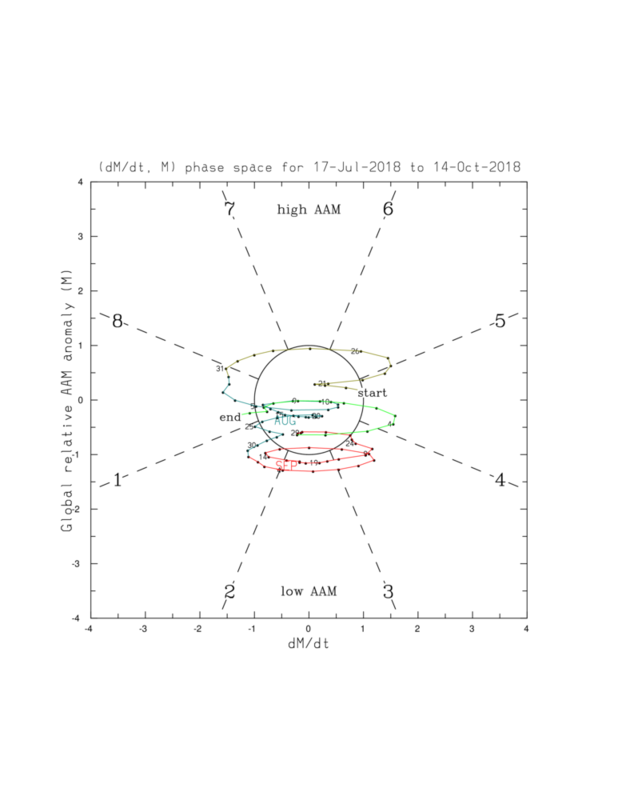 I represent a small group of amateur enthusiasts who have been studying and learning more about the teleconnections for quite a while. There is a particular focus on some of the key drivers like atmospheric angular momentum tendency and how it interacts with the phases of the ENSO, the MJO, influences on the Jet Stream and global weather patterns. Last month I set up a specialist thread on the NetWeather forum entitled “Learning About Teleconnections and Background Signals”. This is for a mix of early learners, those with some experience who want to learn more and those who have chosen to specialise in parts of this fascinating subject (with the main focus on AAM and GWO etc). After just a couple of weeks we already have a small but growing worldwide audience of readers and posters producing a mix of simple and much more technical papers. In time, I intend to develop a learning area, a technical area, a discussion area and an indexed library with links to many of the specialist papers on the subject. This is all done entirely on a voluntary basis with no funding involved.  One of the very few sources providing access to key data that our specialists refer to in their posts on the learning thread was closed down last week without prior notice. This is the WDT website and their homepage provides a "Notice" and brief explanation on this link: https://futures.wdtinc.com/ The data that they produced included the following past, current and forecast charts for Atmospheric Angular Momentum tendency (AAM) , Frictional Torque (FT), Mountain Torque (MT) and the Global Wind Oscillation (GWO) . We are aware that the GEFS GWO forecasts have a negative bias and often understate AAM tendency. We can occasionally obtain some delayed GWO plots from other sources but overall, we are left second guessing the AAM, FT and MT forecasts. This is hugely detrimental to the development of our research and learning thread. I am approaching you in an appeal for help. We understand that professional and commercial organisations must charge their customers for various services, such as providing specialist forecasts and that this is one side of your operation. We also believe that you have a policy to support students and those learning about the subject. We do not have any intention of competing with anyone or providing a commercial forecasting service. We are looking to encourage and develop learning in this vitally important area of the science. It is very possible that some of our younger members may, in time, become leading scientists in this field. We know that you are one of a handful of meteorological organisations who base at least part of your long range forecasts by feeding some of the teleconnection data into your numerical computer models. We would assume that you must capture AAM, GWO, FT and MT data in such a way that it can be quantified and processed. We are hoping that you can provide us with the data on a regular basis that we can no longer access. This includes past, current and particularly short range forecasts. Whether you can provide this directly, access through a link or through a third party we would greatly appreciate any assistance that you can provide. Thank you in advance for any direct help or suggestions. They have given me their standard short reply to say that I will get a full response with 48 hours. I hope that I’ll be able to report back with some good news on this. Whether or not they can assist us, I copied it above to give everyone an idea of just what we’re after. If anyone reading this has a possible source or organisation in mind that might be approachable, please feel free to copy my email message to them. The more we put this about, the greater our chances of finding something suitable. Right on with this report. There have been some interesting changes in some of the key background signals during the last week or so and I shall go through these now. Please refer to my earlier post (at the top of page 3 on this thread) which describes my simple (and still fairly limited) understanding of these signals and processes. The animated chart (1st above) only goes up to January 24th (it should be update within several days) but you can see the steady weakening of the coldest conditions along the equator. The SST anomalies chart (2nd above) shows the annual changes - be careful to note the different temperature scales for each Nino region. Nino 4 (west tropical Pacific) only ranges from + 0.5c to -0.5c while Nino 1+2 (east tropical Pacific) ranges from + 3.5c to -2.5c. These regions are shown in the 3rd chart above. Again the steady change to less cold surface conditions in the east Pacific is clearly evident. I believe that several specialists have said some of the earliest signs of an ENSO state pattern shift can have quite an impact perhaps with as little as a 2 to 3 week time lag. It is this east Pacific La Nina pattern that has generated stronger tropical/equatorial easterlies (north-east trade winds) which have suppressed or influenced some of the other key teleconnections for much of the winter (more on this below). 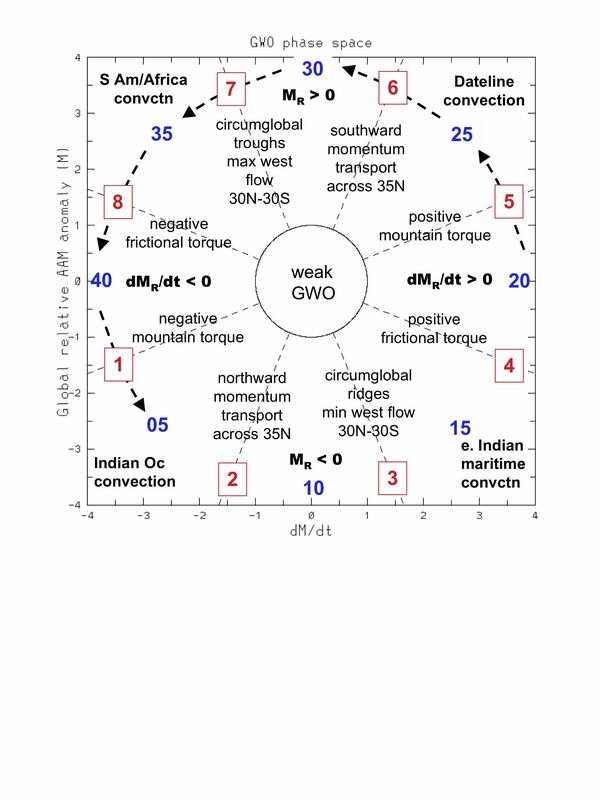 Although we cannot currently get access to the frictional torque (FT) and the mountain torque (MT) charts, with the GWO now progressing through phases 4, 5 and 6 we know that this is indicative of strongly rising FT and MT. This was explained by @Tamara in her excellent post on the MOD yesterday (now buried on page 91 - the direct link is: https://www.netweather.tv/forum/topic/89199-model-output-discussion-mid-january/?page=91&tab=comments#comment-3731667 ). I will not repeat what Tamara says, except to say that it is this very positive MT that will show up in the amplified patterns in the northern hemisphere with impacts on both the troposphere and stratosphere.Colder patterns are likely to predominate. 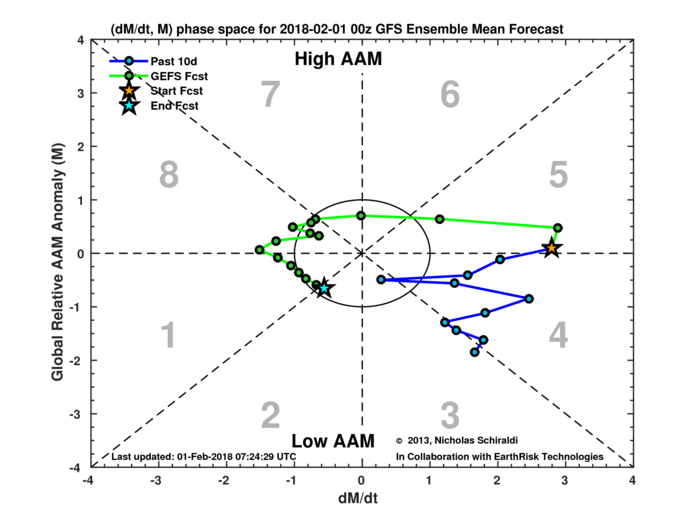 The weakening La Nina signal and the upward spike in AAM set this process in train around January 22nd. That 10-15 day time lag is just starting to show up in the current model output and the increasing in MT (underway right now) will have its full impact in another 10-15 days (around mid-February). This is likely to be the period with the strongest blocking and coldest patterns in place. There might be a temporary lull in this evolution between now and mid month before the process really gathers pace. We are currently at phase 6 and just about to enter phase 7 at very high amplitude. Remember the time lag for the impacts is similar to other other teleconnections at about 10 to 15 days - so again mid-February. We are already seeing some blocking patterns trying to establish themselves but a period of more sustained blocking is most likely to evolve later next week and into the following week. The AO, which is currently slightly negative is shown to move through neutral to slightly positive during the next few days before turning negative again during next week. Many ensemble members go more strongly negative. This indicates that GFS are starting to pick up on more extensive HLB for later in the period but I feel that there is still some way to go. Note for newbies: The AO index reflects the amount of HLB in the Arctic. A positive +AO reflects very little HLB and a strongly +AO reflects no HLB anywhere in the Arctic. A negative –AO reflects some HLB and a strongly –AO reflects substantial HLB with more intense high pressure and/or more extensive HLB in various parts of the Arctic. This index produced by NOAA is based upon GFS model output and will fluctuate in line with that. Although ECM produce similar data based upon their own output this is not one of their “free-to-view” charts for public consumption. The NAO is shown to be positive throughout the period. Sometimes too much emphasis is placed on the state of the NAO. Until the HLB establishes itself, we may not see a negative NAO for a while. A rise of heights to our north-east is very likely by mid-February but how we get there could be either a build of HP south-westwards through Russia or with the Azores HP ridging north-eastwards. Either way, we are likely to see a strong build of HP over Scandinavia. Note for newbies: A neutral NAO index reflects the close to average state of the mean sea level pressure patterns or the “climatological” norm in the North Atlantic. This would equate to the anomalous high pressure in the south, particularly around the Azores and low pressure stretching from off the eastern USA seaboard in a wide band running north-eastwards to the east of Newfoundland, east of Greenland and through Iceland. A positive +NAO occurs when these patterns are stronger than usual (eg: the Azores high is more intense or more widespread and/or the Iceland low is deeper or more widespread than usual). A negative –NAO reflects a weak Azores high and/or less intense Icelandic low pressure. A strongly –NAO would reflect a reversal of the normal patterns with relatively low pressure in the Azores and high pressure further north towards Iceland. A “west based –NAO” (talked about recently) is when the pressure is higher than usual in the western Atlantic such as around the Newfoundland area). An “east based –NAO would indicate higher pressure than usual in our part of the Atlantic. This index produced by NOAA is based upon GFS model output and will fluctuate in line with that. Although ECM produce similar data based upon their own output this is not one of their “free-to-view” charts for public consumption. Remember that the AO and NAO are not actually teleconnections but simply a measure of the amount of blocking or lack of it. The positive AAM tendency is also likely to impact on the stratosphere. As Tamara says in here post yesterday, there is a similar 10 to 14 day time lag between the +MT and its impact. It is likely to assist with the changes going on up there with warmings and a breakdown of the current patterns. This is likely to reflected in the model output towards the end of week 2. over to our "strat specilaists" for more on this. The positive MT will have a direct influence on the path and the strength of the Jet Stream. 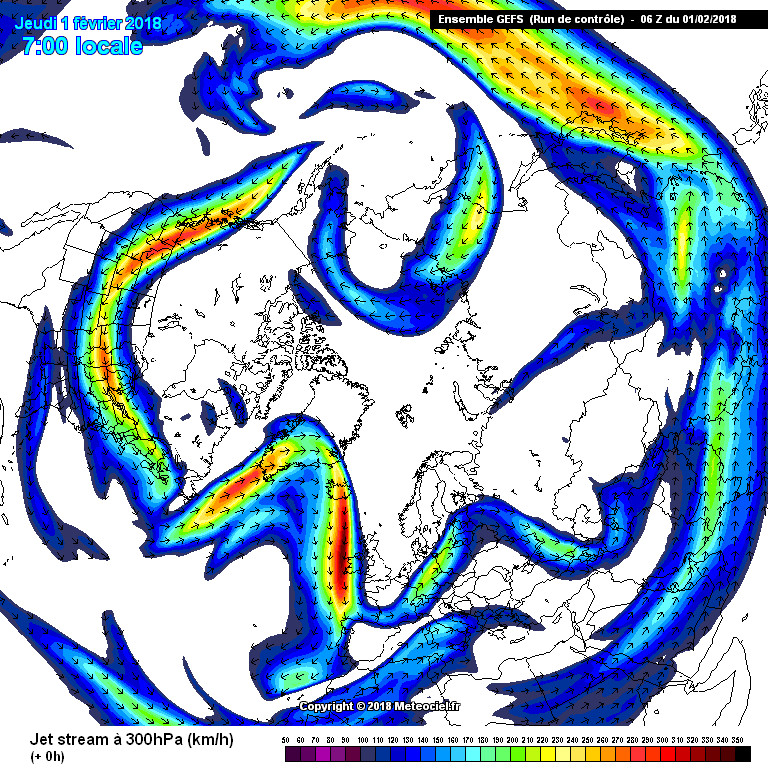 Let’s have a look at the Jet Stream and how it is projected to develop. I’ll look at the current, day 7 and day 14 GEFS 6z charts. The current chart shows the moderately strong jet looping towards Greenland and then diving north to south just to the west of the UK. We are on the cold side of the loop and hence the current north-west to northerly pattern. By day 7 there is already quite a mix of ensemble members. This coincides with the rather uncertain period that I referred to above prior to the HLB patterns becoming more generally established. Over half of the members still have the UK on the cold side of the jet. Some show a continuing north to south pattern, some even show a north-east to south-west pattern which might be more consistent with a build of pressure to our north-east but perhaps a little too progressive. The other (minority) group of members show the jet (mostly) strengthening and powering on a more west to east trajectory either towards or across the UK or to the north of us. This would be indicative of a milder and much more unsettled interlude during next week. By day 14, there is broader agreement again with more of a return to the current set up. The majority of the members have the UK, once again, on the cold side of the jet with varying degrees of strength. Some show it powering well to the south of the UK, some with a north to south track to our west and a few with very benign conditions over and around the UK. These latter members, would likely be indicative of a cold block setting up right over us. perturbation 1 shows a strong Scandinavian HP and an the UK under an easterly. There are still several members showing the jet pushing through the UK with a continuation of the milder, unsettled conditions. Overall, there are already signs that the GFS is starting to pick up on the strong blocking signal for mid-February. In fact the greatest uncertainty is the middle period through next week before we get there. From a teleconnections and background signals point of view, there are some very strong indications of a much colder pattern taking hold by, or even before, mid-February. If the GEFS GWO progressive forecast is to be believed, then this pattern might hold for a week or so. Other signals, however, suggest that this may well be far too progressive and the pattern might become entrenched for a rather longer period. The impact on the stratosphere will also be important to keep an eye on and this might further assist in prolonging the cold spell. I am saying all this from a "balanced" viewpoint but right now, there is strong evidence that we will finally see a proper cold spell that so many of the NetWeather members crave. At this stage, the detail cannot be at all certain. We are likely to see winds coming from a cold easterly quarter for a decent period but just how snowy that is likely to be cannot be certain. With the strong influences from the Canadian PV it is possible that we might see some battleground scenarios with the UK mostly remaining on the cold side of these. Plenty to keep an eye on and plenty to keep the MOD buzzing for quite some time! I'll be back with parts 2 and 3 of this report over the next day or two. Just how cold can we expect it to be? What a great post and a great read @Bring Back1962-63. Thank you. May I ask a question please. 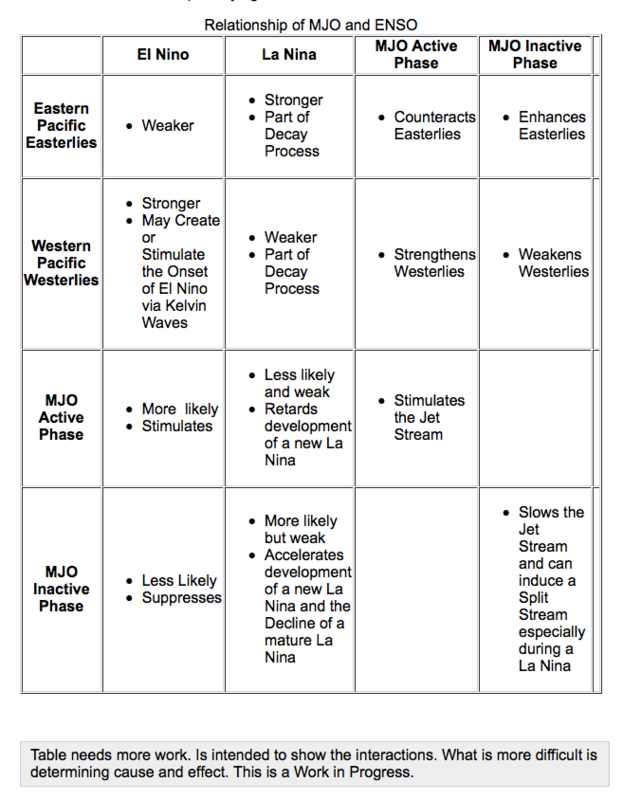 In your analysis of the MJO situation you say "This time it looks like the much stronger positive AAM tendency and the weaker Nina signal will allow the MJO to play a greater role." 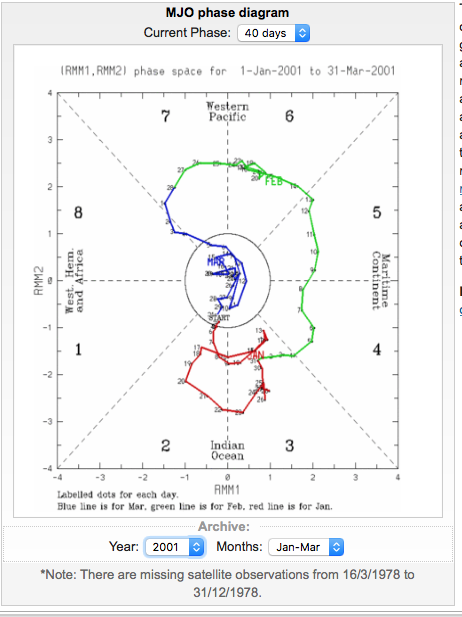 So..... with AAM finally heading into positive territory for the foreseeable (thanks to near-term +ve FT and - as @Tamara posted in the Mod thread - hopefully +ve MT "delivers something of an icing on the cake from mid month"..... and the ENSO signal is predicted to trend neutral as we move forward..... why are the models forecasting the MJO amplitude to nosedive when it reaches Phase 8?? With the background signals I would have expected amplitude to remain high? Any chance of seeing an analogue for Feb phase 7 in a weakish Nina ?? Hello @Blessed Weather Malcolm, welcome back from your very snowy alpine sking holiday! I enjoyed looking at your photos on the Alpine thread. I think that I can partially answer your question. Firstly, the last 2 MJO (out of the 6) charts that I posted that take it diving through phase 8 towards the COD are for the really extended period to March 2nd and March 11th respectively. So let's focus on the day 15 period to Feb 14th which 5 of them cover (JMA only to day 7). NCEP/GEFS actually has it stalling nicely in phase 7 at decent amplitude - albeit down slightly from the extremely strong (almost record breaking) signal several days earlier. ECM does take it towards the COD by day 15. The last 2 still have it at a decent amplitude at day 14 and are close to the GEFS. The CANM is somewhere in between. Next, remember that there is a 10-15 days time lag so the current high amp into phase 7 will impact around mid-Feb which is what coldies want to see. So, it would be late Feb or into March when (and if) the weaker signal impacts. Then, we need to consider that the models are only just starting to pick up on the mid month signals and we can expect some changes in the coming days and remember that the models will pick up on things like +MT in different ways (some far less so than others). Finally, the natural progression of the MJO cycle would take it through phase 8, 1 and onto 2 anyway as we move into March (at whatever amplitude it might be at by then). To sum up, the current MJO charts all assist with the mid-month HLB and for it to last for a while - just how long, is far too early to say and of course, other factors will be at play. EDIT: @bluearmy - good question. I'll have a look for this later (back to work right now) but perhaps someone else can assist with this one. As we know, the AAM, the torques, and the strat all interplay too but it's the +AAM and +MT that are the key influences here (I think!). Not an analogue for what you ask @bluearmy but an interesting few diagrams and charts from what I think is a similar set of circumstances. The following table relates to temperatures from the NINO 3.4 region and as you can see in 2001from December through to March the weakening La nina signal. similarities in the phasing, maybe not amplitude but tails away towards COD from 7 into 8, similar to what we are seeing forecast for the current MJO. P7 in cold ENSO looks quite similar to what is modelled in the charts but the diagram is not reflecting a monthly or seasonal differential. Ta very much! Plenty of experience of doing the research bit but working with image gizmos is not my forte. This is one of my long posts which I am dividing into three parts spread over several days. I posted part 1 yesterday (at the top of page 5 on this thread) entitled “Background Signals and Some Influences on the Model Output”. Part 3 will include one of my Eurasia temperature and snow cover profiles and analyses. As I demonstrated in part 1 of this report, a sustained period of blocking with predominantly colder patterns is strongly indicated by some of the most influential background signals. This is likely to be most prominent around mid-February. We are already seeing some colder patterns and it is somewhat uncertain whether these will merge into the later set up or whether there might be a milder or less cold interlude during next week. The current model output would seem to favour the former but this may be a little too progressive and the longer term output is only just beginning to sniff out these mid-month blocking patterns. 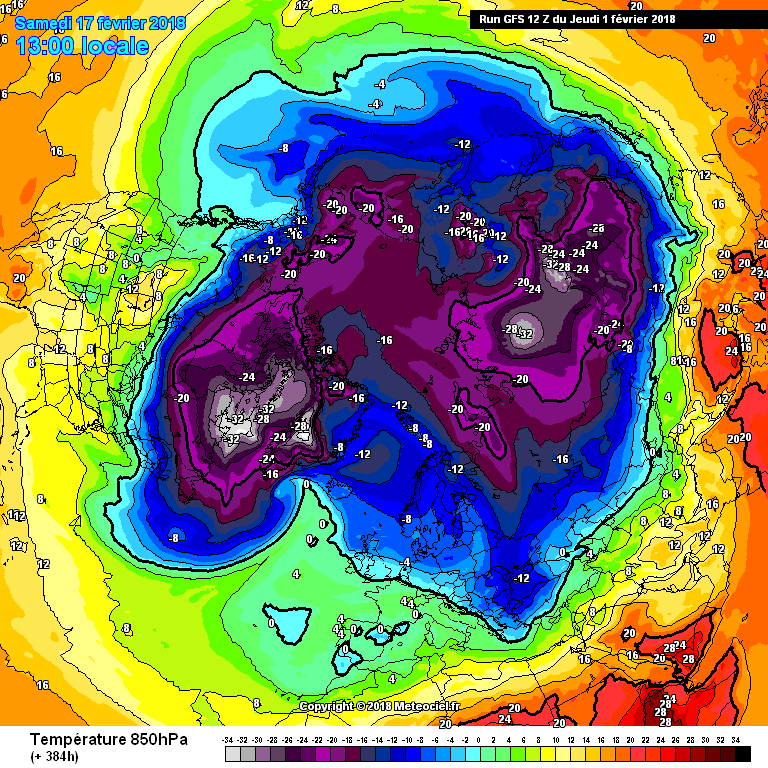 Whichever scenario arrives, a fairly lengthy cold spell is very much on the cards. Just how cold might it get? I shall examine this in this part and continue it in part 3 when I will focus on Eurasia and a likely easterly outbreak. I’ll compare current, day 6, day 12 and day 16 charts from GFS and include other main models where data is available. The current 850 temperatures are fairly evenly distributed across Asia and North America with slightly deeper cold over much of Canada. This stretches across Greenland and the North Pole and into Scandinavia. There is an unusually warm (+4c) patch over the opposite side of the Arctic. 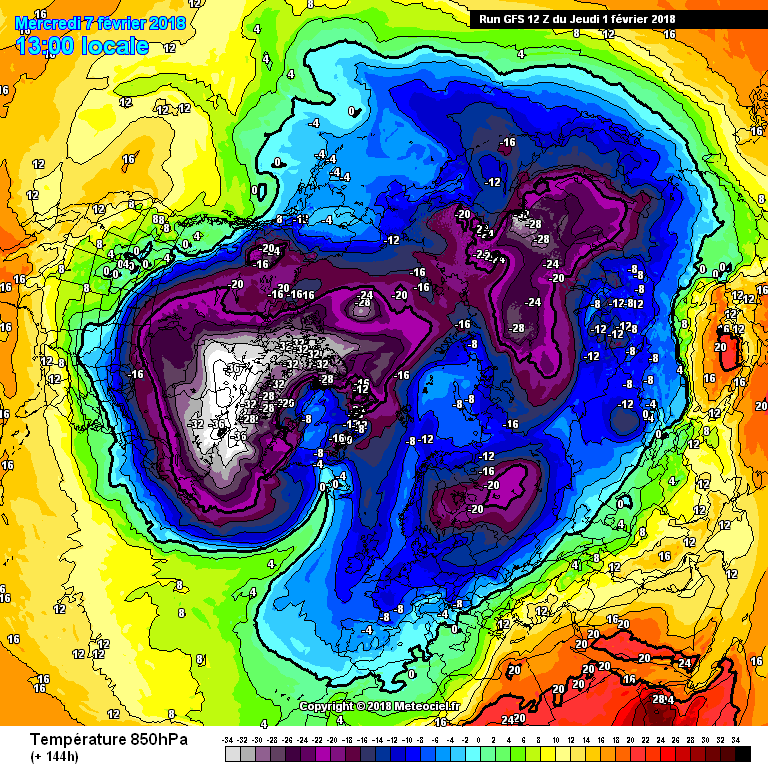 By day 6 the GFS operational run shows that deep cold over north-east Canada has intensified. 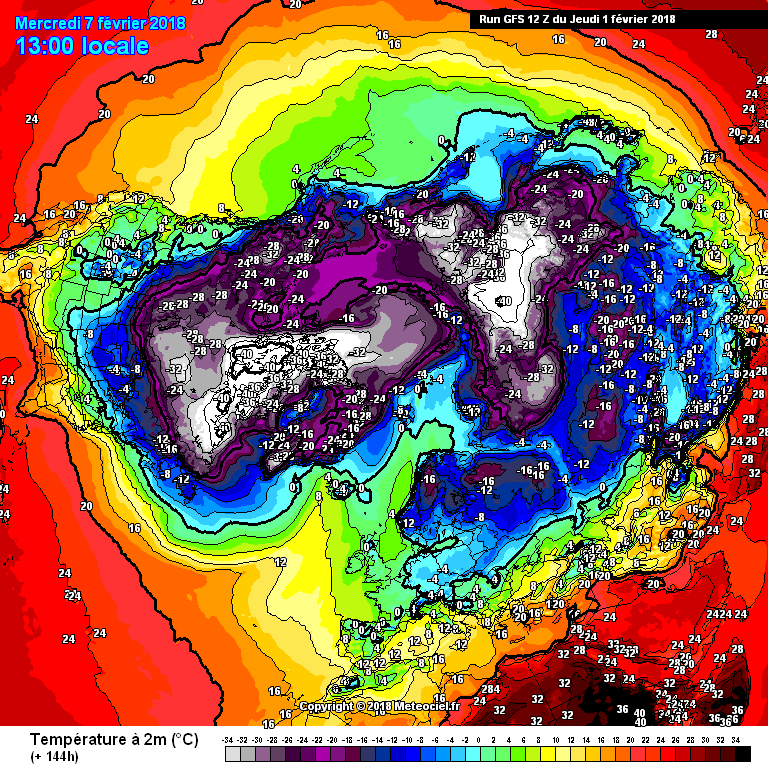 A tongue of sub -8c with some sub -12c temps extend southwards from the high Arctic, east of Greenland and east of Iceland towards northern Britain and Ireland. 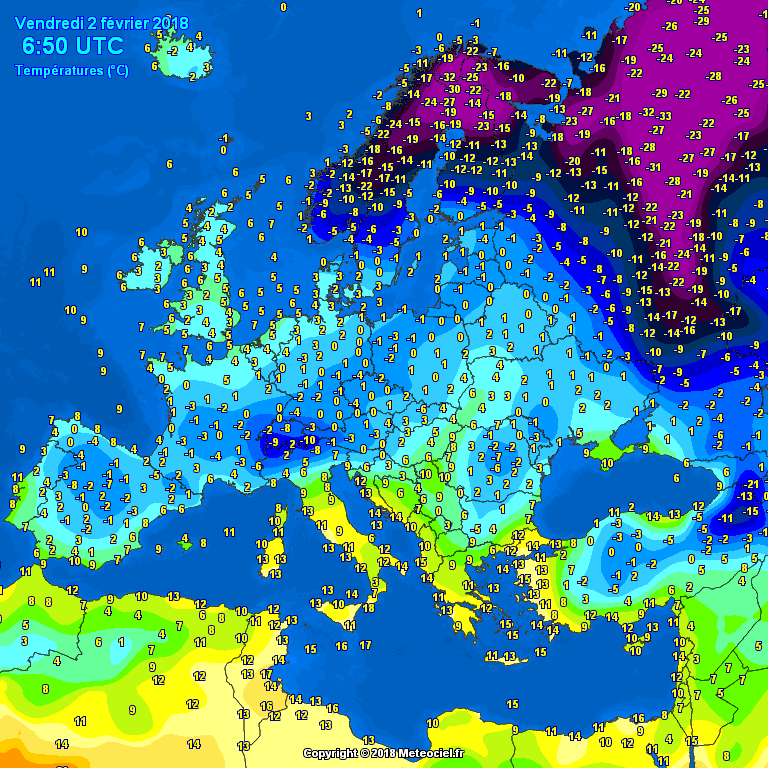 A deep cold pool of sub -20s is established over western Russia, north-east Europe and eastern Scandinavia, with sub -12s extending westwards and sub -8s moving towards north-west Europe and south-east England. 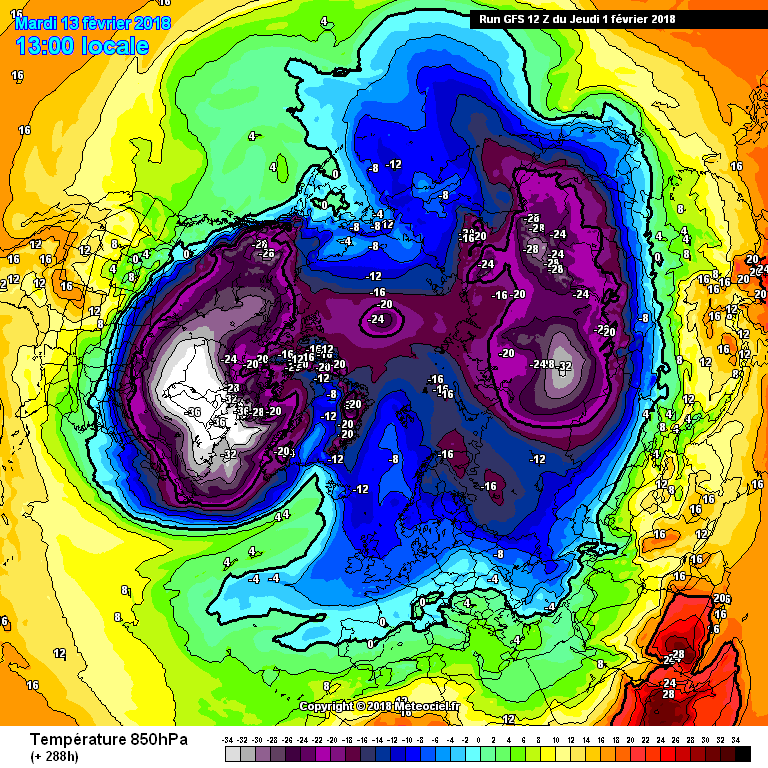 The less cold sector has been squeezed out with the UK under attack from the north-west as well as the east. Similar conditions are shown for day 12 although the sub -8s are confined to northern Britain but the rest of the UK is still under sub -6s. By day 16 the deep cold has eased to some extent. I show three other models at day 6 for comparison. ECM has southern England under -12s but otherwise is quite similar to GFS. UKMO also has sub -12s just across the Channel. GEM shows sub -6c to sub -8c temps over the UK. 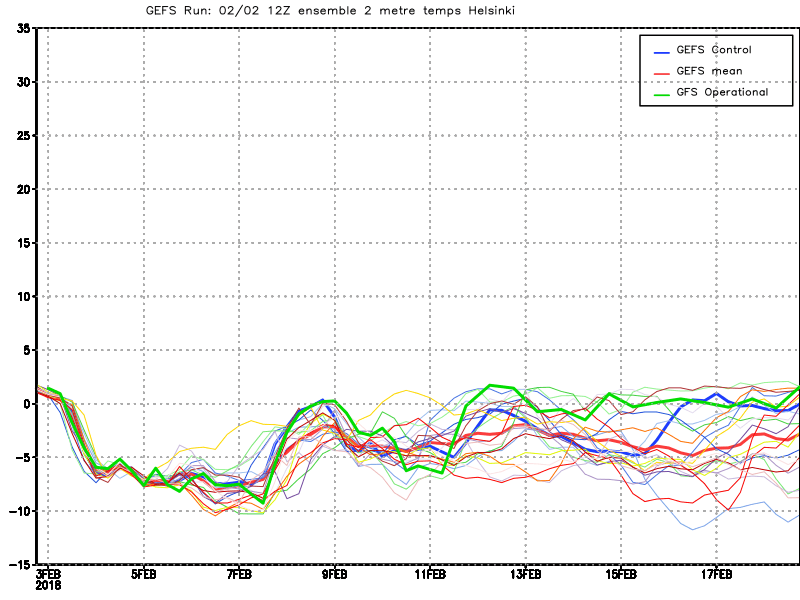 Even the GEFS mean chart has the UK mostly under sub -6s and below. At day 6, the ensemble members are remarkably consistent with most of them have the UK under sub -6s to sub -8s with several sub -12s and several nearer sub -4s. By day 12 we have the 20 members as follows: 0c to -2c x 2; -2c to -4c x 2; -4c to -6c x 4; -6c to -8c x 6; -8c to -10c x 4; sub -10s x 2; By day 16 the range is: +4c to 0c x 1; 0c to -2c x 3; -2c to -4c x 1; -4c to -6c x 3; -6c to -8c x 6; -8c to -10c x 3; sub -10c to -12c x 0; sub -12c x 3. Although there are several warmer members, the majority of them are colder again by day 16 and several show a pool of -16s just across the Channel. The current surface temperature distribution is quite similar to the 850s although the deep surface cold over northern Asia matches that over northern Canada. By day 6 the GFS operational run shows that there is little change but a cold pool is developing over western Russia, north-east Europe and eastern Scandinavia with quite a wide area under sub -8s with some sub -16s showing. Much of central Europe is under sub -4s and western Europe and the UK in the 0c to +4c. These are 1300 temperatures, so close the usual daily maximums. By day 12 much of Canada and Asia are similar but the cold has eased in western Europe and the UK with temps mostly +4c and above. By day 16 there is little change but UK temps are closer to normal (mostly +4c to +8c). 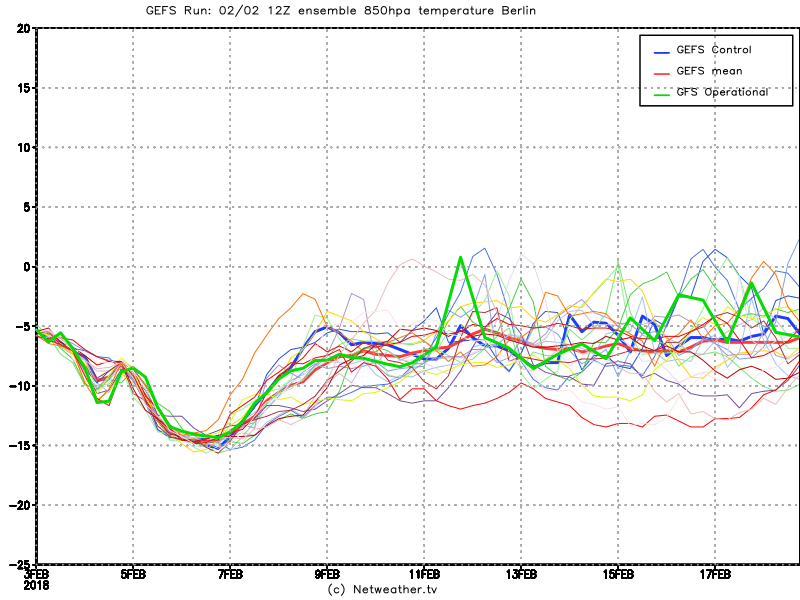 By day 6, almost all the GEFS members have the UK between 0c and +4c with a couple just below 0c. By day 12 it is quite similar but several members shows a less cold +4c to + 8c and several more (in Scotland) show below 0c temps. By day 16 we have 3 members in the +4 to +8c band; 12 x 0c to 4c; 4 x 0c to -4c and 1 x sub -4c. These are 1300 temperatures and close to the maximums. Overall there are only slight signs that the GFS (the only model to go beyond day 12) is factoring in the background signals suggesting a more sustained block and cold pattern for mid-February. I would expect to see some cold charts appearing soon for the extended period. 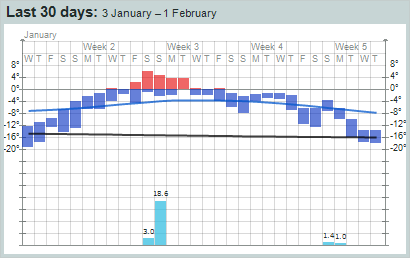 There is still the possibility of a brief milder interlude towards the end of next week prior to the next cold spell. 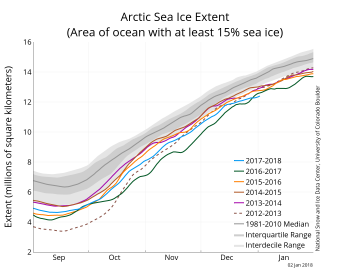 This record low Arctic sea ice extent for this time of the year is extremely worrying. I would like to explore how this teleconnection interacts with the other teleconnections. I appreciate that there is a specialist "Arctic" thread but these areas overlap. Perhaps specialists from both threads can combine their knowledge and access to papers, articles and links on the subject. 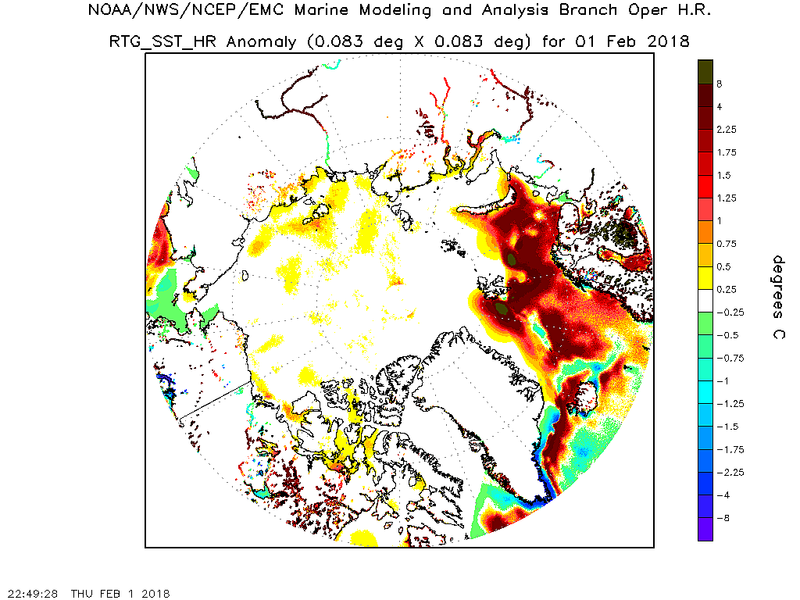 The anomaly chart shows that there is a wide area of open water in the Arctic with well above average surface temperatures. 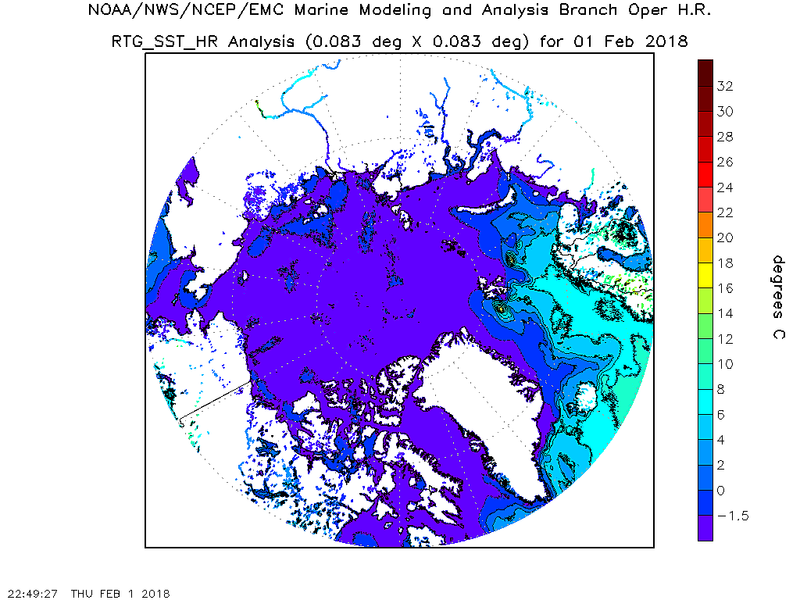 The SSTs need to be below the -1.5c threshold (the purple colour). Sea water will start to freeze when it is below -2c but that is for normal salinity. There is slightly lower salt content in the Arctic (mainly due to ice melt) and the threshold is nearer to -1.5c. There are some areas with SSTs well above freezing and the current anomalies are widely over 4c above average and up to 8c above in places. Unfortunately, although the SSTs have fallen very slightly in the last few weeks (the normal seasonal decline through the winter months), some of the anomalies have increased – eg: now over +8c around Svalbard. These higher SSTs are a legacy of the 2015-16 winter when the Atlantic jet stream powered well into the Arctic for much of the first half of winter. This shifted much warmer than average currents right up to the edge of the ice sheet. This strong anomaly has persisted for 3 years and is exceptional and comes on top of the already generally warming Arctic. Unless the SSTs reduce substantially, the anomalies might be carried through to next summer and into a fourth winter. There is a small area of the North Atlantic, mostly south-east of Greenland with a negative anomaly. Further bad news with the forecast temperatures for the Svalbard stations that I monitor have risen close to freezing point. In fact there are several days with temperatures up to 3c and "rain" which is quite extraordinary for early February which should be close to the coldest period of the year. I summarise the D1, D5 and D8 values for each station. I also show the website link for each station so that you can view the full details. The last two charts/tables show monthly means and actual highest/lowest temperatures recorded during the last 13 months. 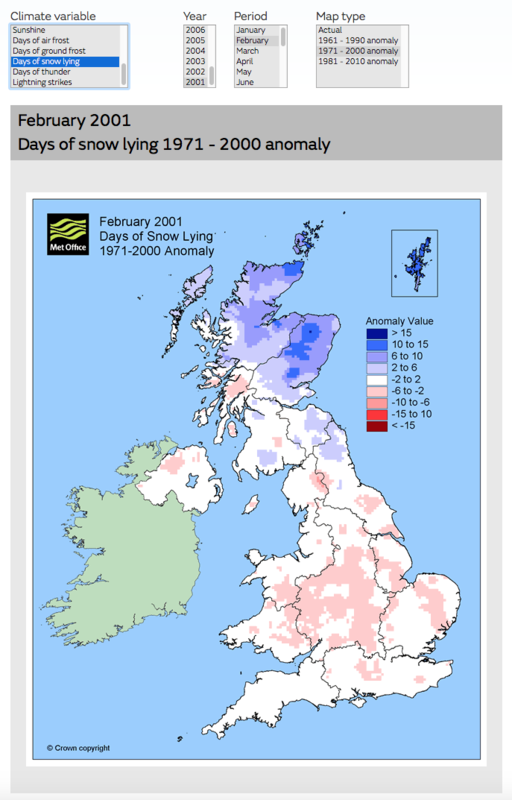 This has just been updated with the January 2018 figures when the monthly average temperatures were an extraordinary 9.8c above the 30 year mean! Svalbard has been seeing “maximum” temperatures often running at 5c to 8c above their long term average throughout most of the last 4 years. 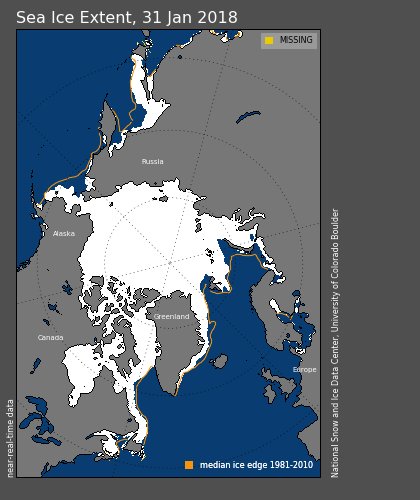 This is reflective of the warming Arctic and the near record low sea ice cover. 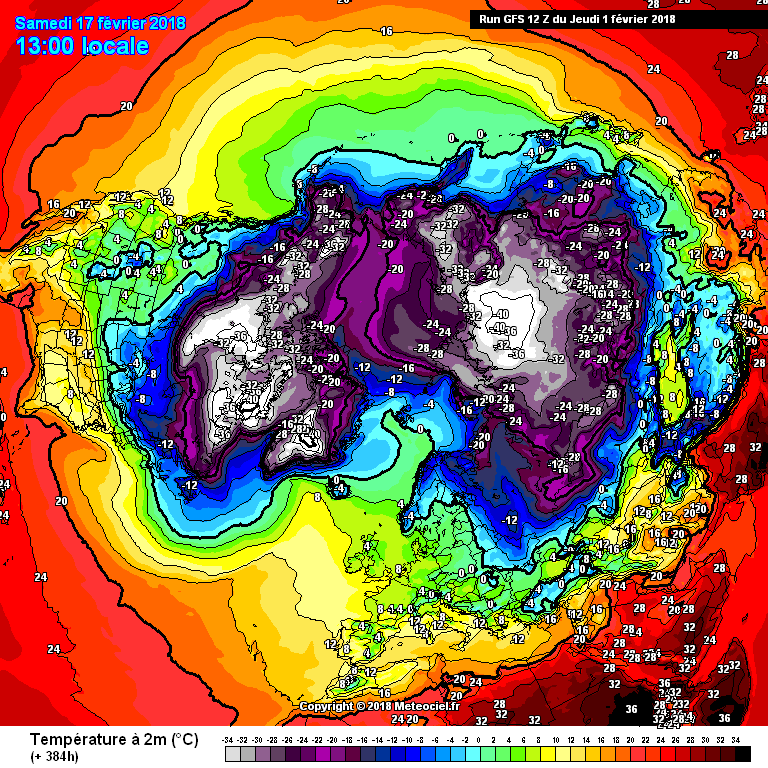 Overall, the temperature profile of the Arctic is extremely worrying. 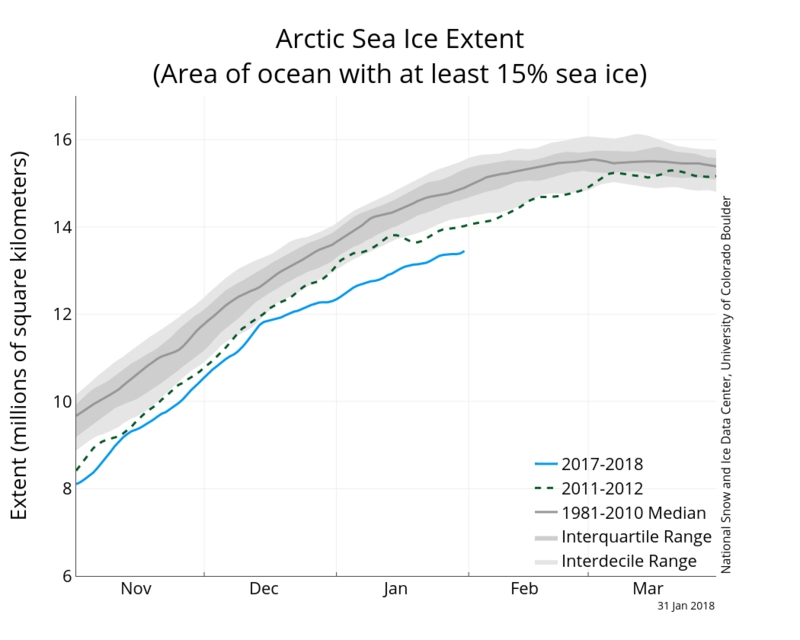 The second lowest ice-build up on record, record high sea surface temperatures with the anomalies going even higher in some parts and high temperature around Svalbard. 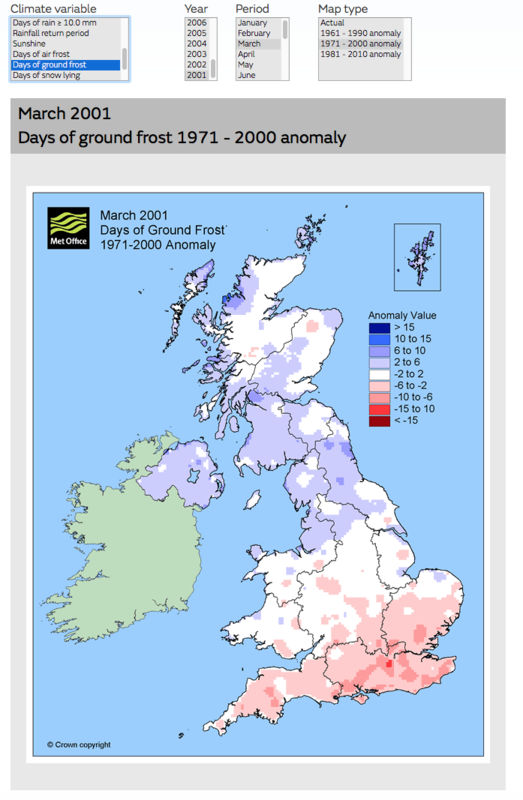 it is hardly surprising that many of the northerly outbreaks that we have seen during this winter have seen little in the way of really wintry conditions. 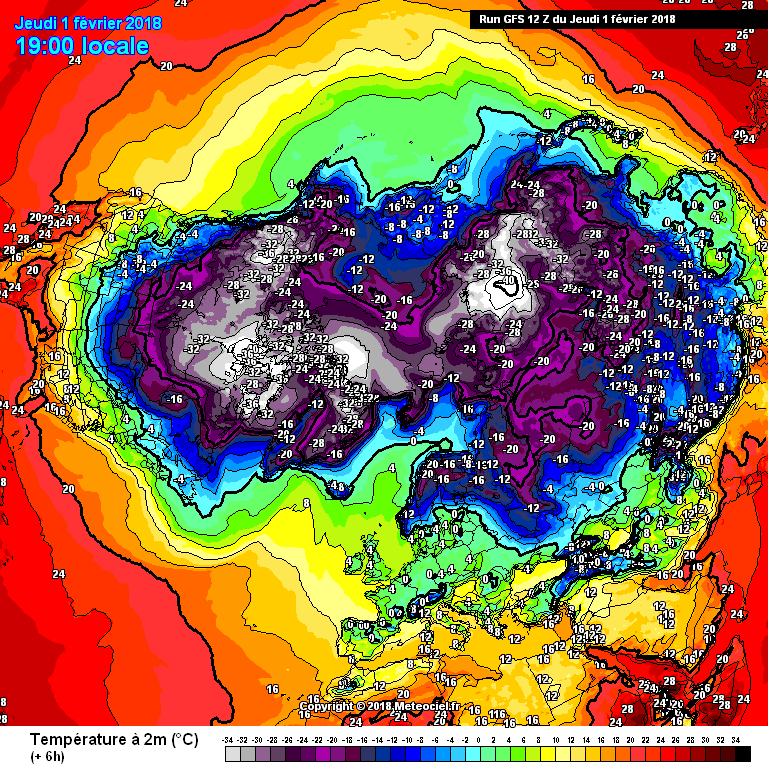 The upcoming UK cold spell is likely to see a very cold continental flow and part 3 of this report will take a much closer look look at temperatures and snow cover extent in Europe, Russia and Asia. I will also update the UK's nearby SSTs. 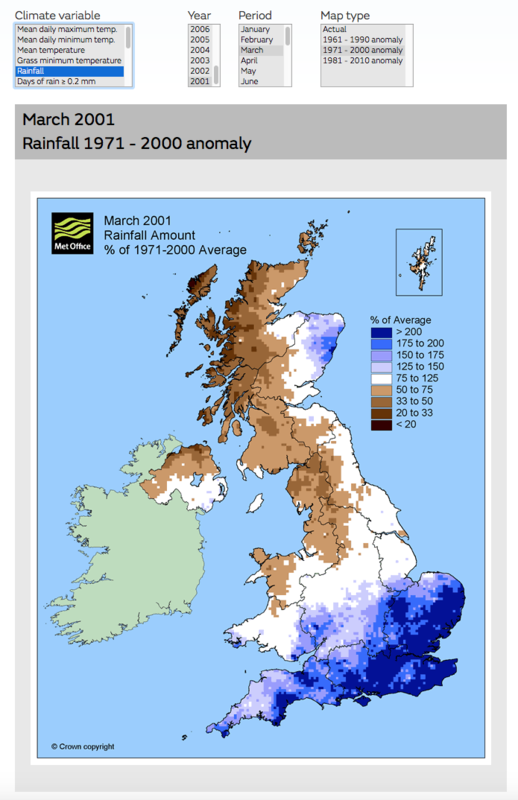 Great report that D succinct, comprehensive & interesting ticks all the boxes you’re like the J. Cohen of netweather I have noticed your progress - very good effort for trying to furthering your weather (with the aid of others) ‘science’ knowledge. It does appear to me we may see a brief relaxation and it will turn less cold, once imminent cold spell is out the way. A lot of uncertainty surrounds how long it will go on but looks rather prolonged, the residual cold air I can’t see it leaving Europe, I see another bite in Feb too perhaps an even more significant one remarkably...we’ll have to see, but this month is truly going to be fascinating. @Interitus, thank you for your response and I have a few queries to raise. I'm learning all the time and I am happy to be corrected when it's appropriate. Re: the AO/NAO - I do point out exactly what they measure with an explanation in italics below each chart. I developed these simple notes to assist newbies. If you feel that any part of those notes are misleading or incorrect, then please explain that to me now. 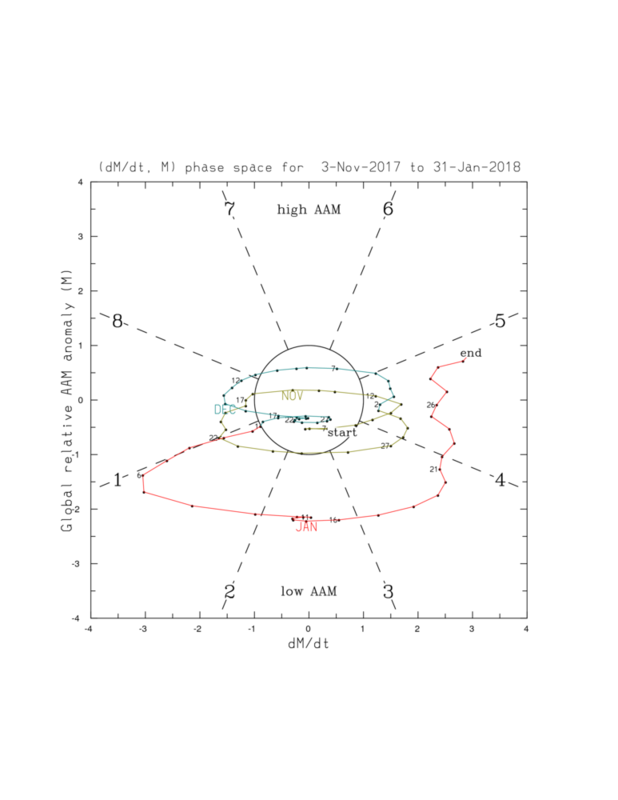 The NAO/AO as well as the GWO are all measures and they are all related to some of the teleconnections but are not actually teleconnections in their own right. The relationship between changes in AAM tendency, frictional torque and mountain torque and how they impact on the stratosphere is a fascinating and quite a complex one. This "overlap" between these key teleconnections needs to be explored a lot further and we want to look at it and study this relationship on this thread. We are "not" competing with the strat thread and we can all learn from these exchanges - I may well raise a few queries on that thread before too long. I do believe that the strongly rising MT will have a forcing impact on the strat and I want to read up on any papers on this and invite anyone with good knowledge on this to come forward. I know that @chionomaniac is experienced at this level (in both areas), are you and any of your colleagues in the same bracket? Finally, the most important query. You obviously have access to up-to-date FT and MT charts, which seem to come from WDT, who say that they no longer support this. I have made an appeal on this thread and the MOD to anyone who can help us with obtaining this vitally important data. Please can you provide us with a link and/or explain where you get this from (free to view or by subscription). Thank you in anticipation of a full response, which will be strongly appreciated. This is the final part of one of my long posts which I have divided into three parts spread over several days. I posted part 1 yesterday (at the top of page 5 on this thread) entitled “Background Signals and Some Influences on the Model Output”. Part 2 (posted late last night, also on page 5) covered Northern Hemisphere temperatures and Arctic sea ice extent and sea surface temperatures up there. As I discussed in parts 1 and 2, a fairly lengthy cold spell is very much on the cards and the more sustained HLB patterns with a fairly prolonged cold spell are likely to be most prominent around mid-February. We are already seeing some colder patterns and it is somewhat uncertain whether these will merge into the later set up or whether there might be a brief milder or less cold interlude later next week. The current model output for the initial cold spell may be a little too progressive and, conversely, the later cold spell has yet to be properly factored into the extended model output. There are some strong indications of a substantial rise of pressure to our north-east which, given the much more conducive background signals, could well bring us a longer lasting easterly outbreak compared to the fleeting one that we saw last February. I shall examine the potential severity of the cold that we might see in this part and focus on Eurasian conditions. Before I move on to Eurasian temperatures and snow cover, I shall analyse sea surface temperatures around our shores. To what extent might an air stream from an easterly quarter be modified as it crosses the North Sea? 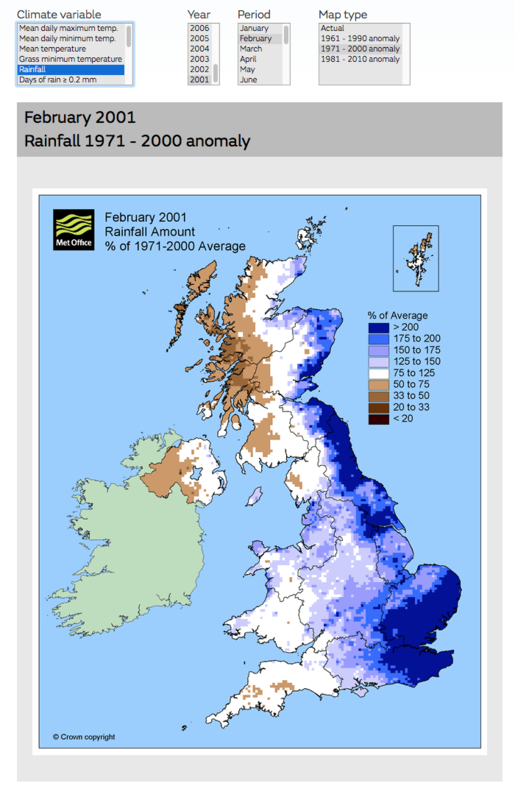 The frequent but brief northerly outbreaks during November and December and a mixed January (with colder and milder spells) have helped to lower the sea surface temperatures around the UK. They are generally another degree lower since Dec 29th (I would have selected January 1st but for some reason there is no Meteoceil archive SST data from Dec 30th to Jan 9th). This decrease is also partly due to the lack of strong south-westerlies as well as the normal seasonal fall off from the summer to the winter months. The lowest SSTs are currently around East Anglia and The Wash at 5c and much of the North Sea is at 6s and 7s! I also show the charts for the same dates for the last two winters for comparative purposes. Remember the second half of November and early December 2016 was also rather colder than average and was also followed by a mixed January. The SSTs at this stage last year were remarkably similar to the current values. Marginally lower in the southern North Sea and the east Channel but marginally higher in the northern North Sea. SSTs in February 2015 were up to 1c higher in the North Sea. Finally, to put all this into context, the Global SST anomaly chart above compares current values to the 30 year mean (1970 to 2000). SST anomalies have been rising on a global basis for the last few years and vast areas are well above the historic 30 year mean. I showed the Arctic profile SST charts in part 2 where the current anomalies are even higher. There are some interesting papers about the causes of this and surprisingly it may not be directly connected to global warming. This is yet another fascinating subject that we can examine on this thread. The ENSO state is likely to be impacted by these changes (eg: there "may" be a connection between higher SSTs and the current east Pacific based La Nina and previously a near record strength El Nino). Back to our neck of the woods, apart from a small patch of slightly below average SSTs in the northern North Sea and off Ireland, our waters are generally well above the 30 year mean. The North Sea is colder than it could be right now and that will help to prevent too much modification of an easterly air stream. Note that it is important to allow for min/max temps when comparing the charts. The 0650s are usually close to the minimums and the 1450s are usually close to maximums when other conditions remain similar. Much of mainland Europe, Scandinavia and north-west Russia has been cooling down in recent days and this trend has continued during yesterday and today. The deep cold purple colours in north-west Russia show that temperatures there are now considerably lower than they have been for much of this winter so far. Dew point values have also been slowly dropping over much of northern and western Europe. 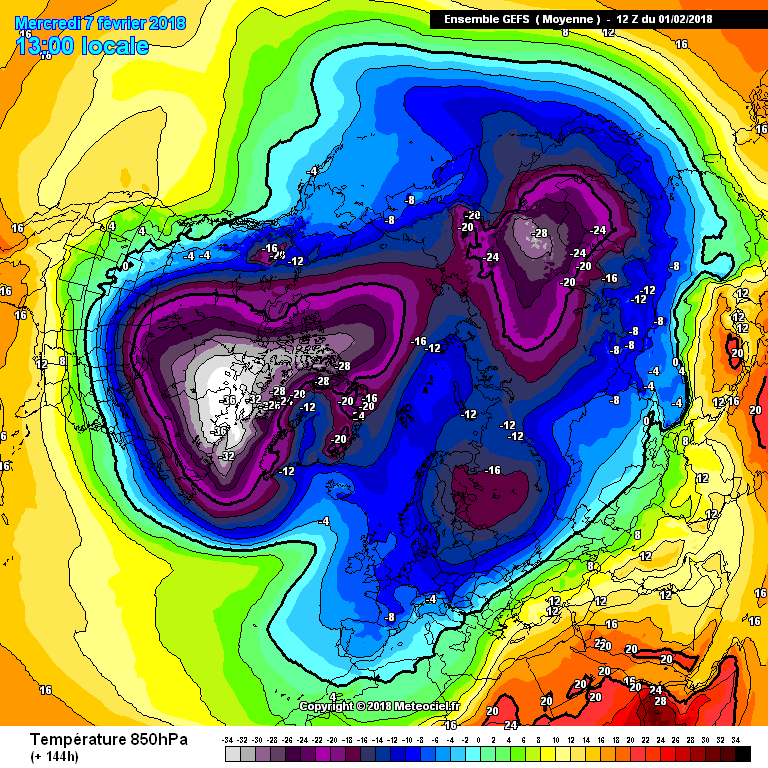 They are sub zero in many parts and only slightly above zero over the UK. It seems that given the right synoptic patterns, like thiose currently indicated, a pool of surface cold with low dew points will start to establish itself over continental Europe. Even if we see a temporary milder interlude in the UK later next week, it seems unlikely that the Euro cold will be shifted. 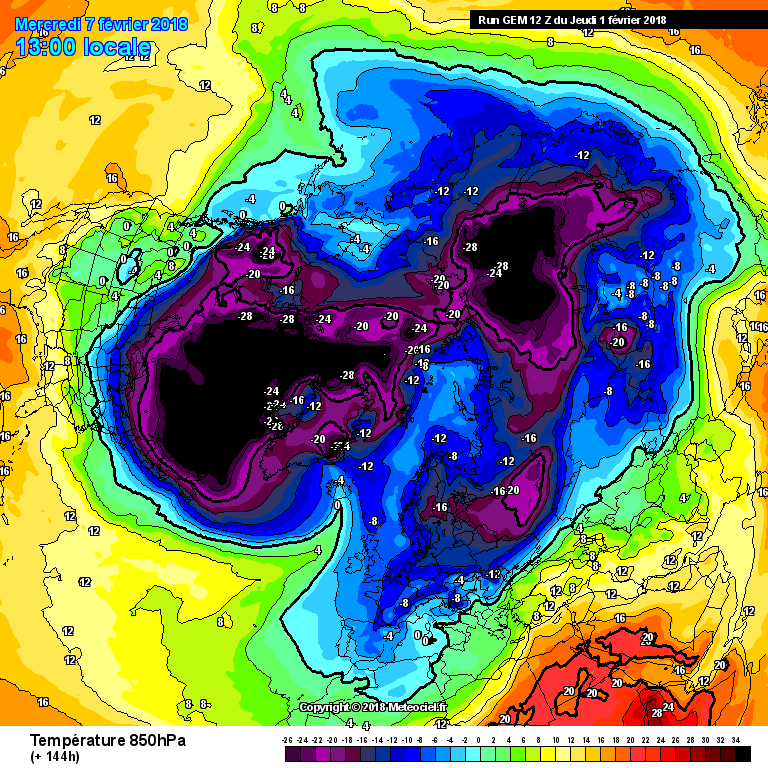 I provided a northern hemisphere temperature analysis and forecast from several of the models in part 2 yesterday. Some sub -12c 850s (over even sub -16s) are indicated. 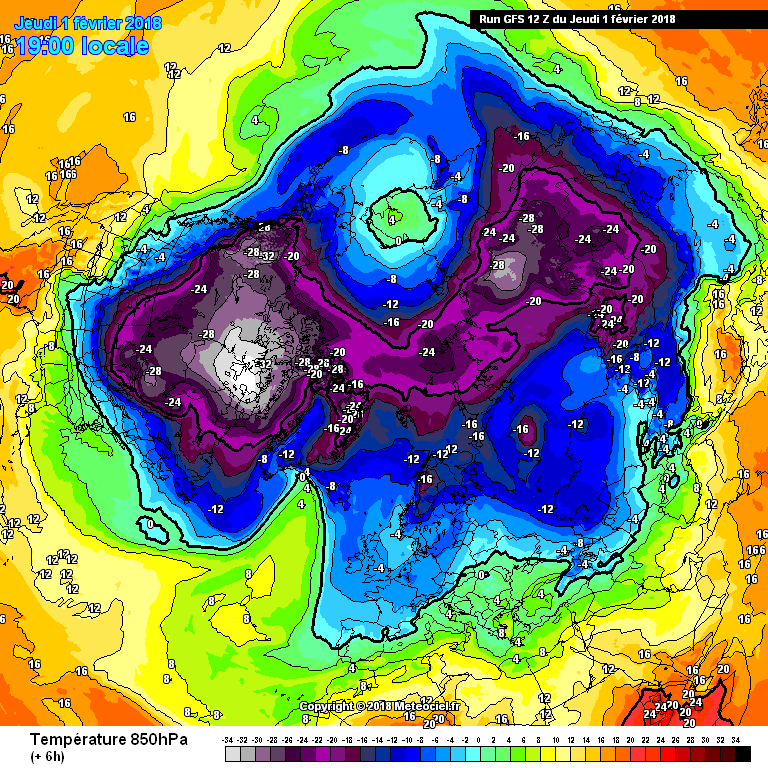 So far, it does seem that we will see a good supply of very cold air building in Europe for us to tap into. 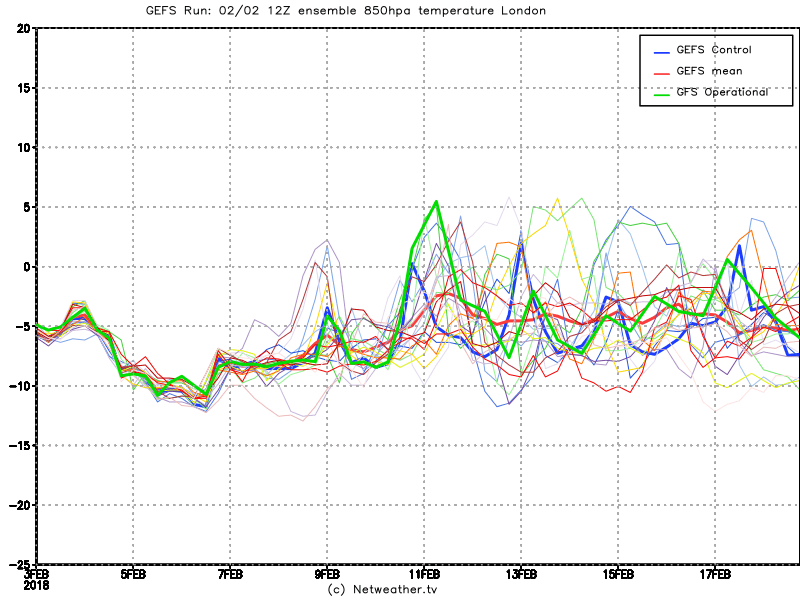 Let's have a look at some of the ensemble forecast charts to get a better idea of the predicted cold spell(s). Some of these charts are often posted on the MOD. They provide a lot of information. For newbies: The ECM (red) and NCEP/GFS (blue) operational runs go up to day 10. The GEFS and ECM ensemble members (grey) go up to day 15 and so does the average or mean values of these (yellow). Remember the maximums and minimums are shown, hence the ups and downs. Looking at the London chart, we see the initial cold spell taking hold during the next few days with temperatures by day gradually falling towards zero with the ECM values somewhat lower by day 7. The spread of ensemble members increases during week 2 when the outcome is usually much more uncertain. In this case, as I have already stated in all three parts of this report, there is considerable uncertainty as to whether the initial cold spell will hold on or whether we see a brief milder interlude towards the end of next and into the following weekend. On this 0z run, more members go for the milder (or less cold) interlude but quite a few maintain the cold. The ECM operational run takes a marked dip during day 10 and then during the 10 to 15 day period there is a fairly even balance between the less cold weather continuing and a return to more significant cold (as I and some others) predict around mid-February (from around day 10 to 15). Let's see how these charts evolve during the next few days, when I anticipate that the models will start to factor in the mid term changes. I also show charts for Berlin, Walsall and Stockholm as we shall be looking east and north-east (and these ensemble charts are only available for a limited number of locations). care should be taken to see the temperature scales which are different for the (usually) colder locations. 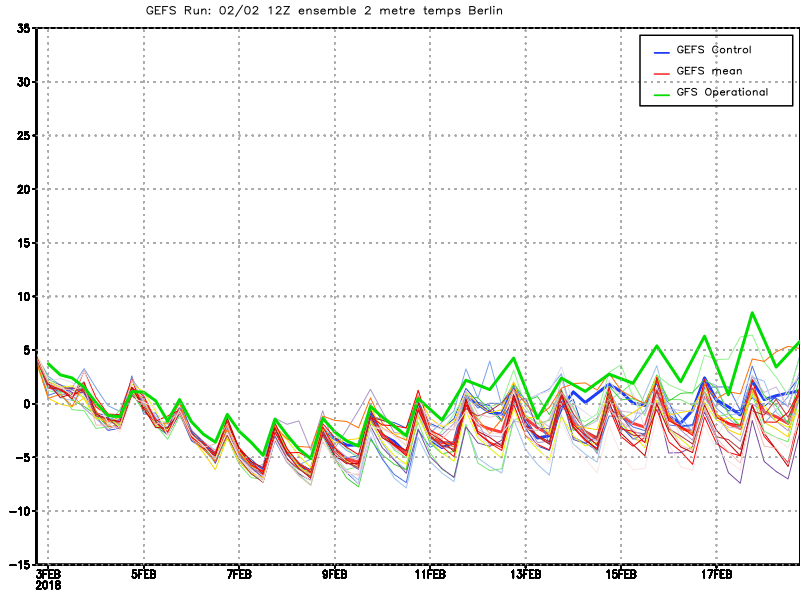 Berlin temperatures fall below zero quickly during week 1 and only rise to around zero in week 2. There is a mix of slightly warmer and slightly cold members and the average is gradually falling again towards the end. Going further east, it is not surprising that Warsaw's temperatures are that much lower throughout. Still plenty of uncertainty in week 2. Finally, Stockholm stays mostly below zero throughout, well below at times but there are a few less cold members towards the end as well as some very cold ones with the average in the 0c to -5c band. I wanted to go a little further east, so onto the GEFS charts. Down to only one model but with 20 ensemble members + the mean, the control and operational runs. These are all from the 12z run, so I cover London and Berlin again. 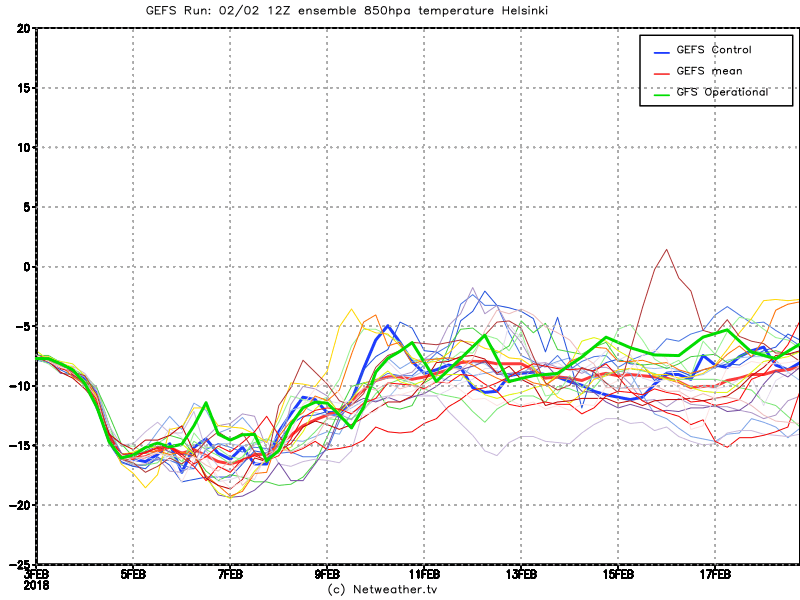 Interestingly, the GFS operational run was a warm outlier as is the control run in week 2. For much of the period, London temperatures are between 0c and +5c and lower in week 1 than week 2 although there are some colder members towards the end. There is a similar pattern for Berlin, albeit some 5c colder throughout. Again the operational run is a warm outlier. Now on to Moscow where it remains below zero throughout, in fact the mean remains at or below -5c and goes below -15c in week 1, before recovering to -5c and gradually (but steadily) falling during week 2 back to below -10c. At Helsinki, the temperatures are more consistent within the 0c to -10c band with the mean never that far from -5c. 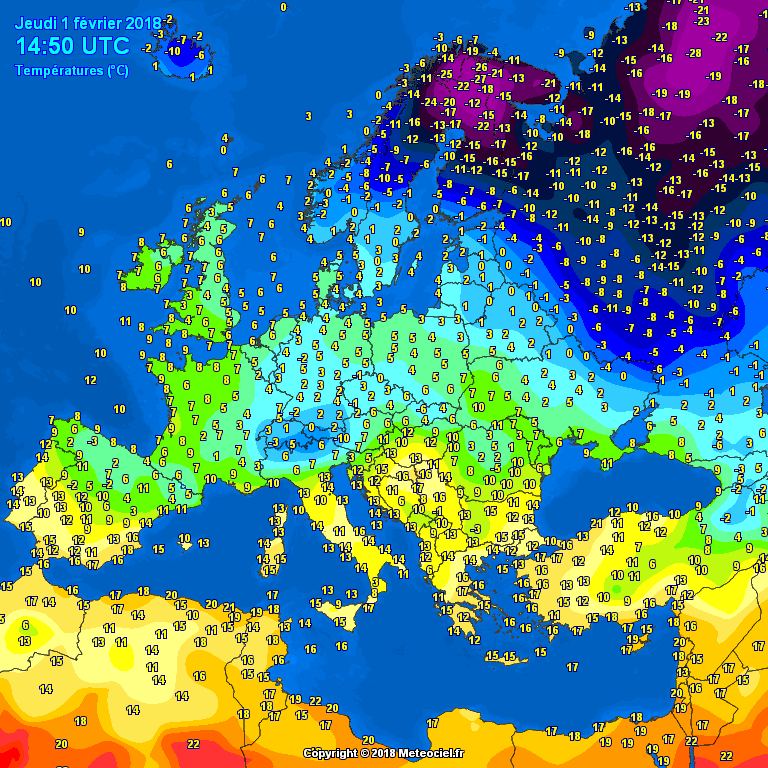 So, fairly consistent cold maintained in western Russia and eastern Scandinavia. Finally in this section, a quick look at the 850s for the same four locations. The trend for London is very similar to the surface temperatures. -5c 850s early on, dropping to -10s, then recovering to mostly 0c to -5c but with a few warmer and colder members in week 2 with the control and operational runs leading the way down right at the end (perhaps an early sign of the mid-month cold spell?). 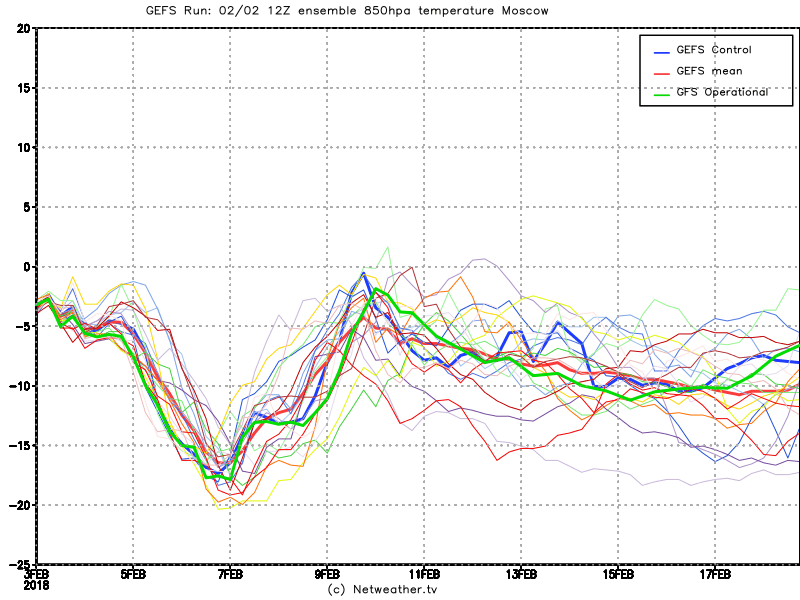 The other three charts speak for themselves and Moscow, in particular, trends quite a bit colder during week 2. 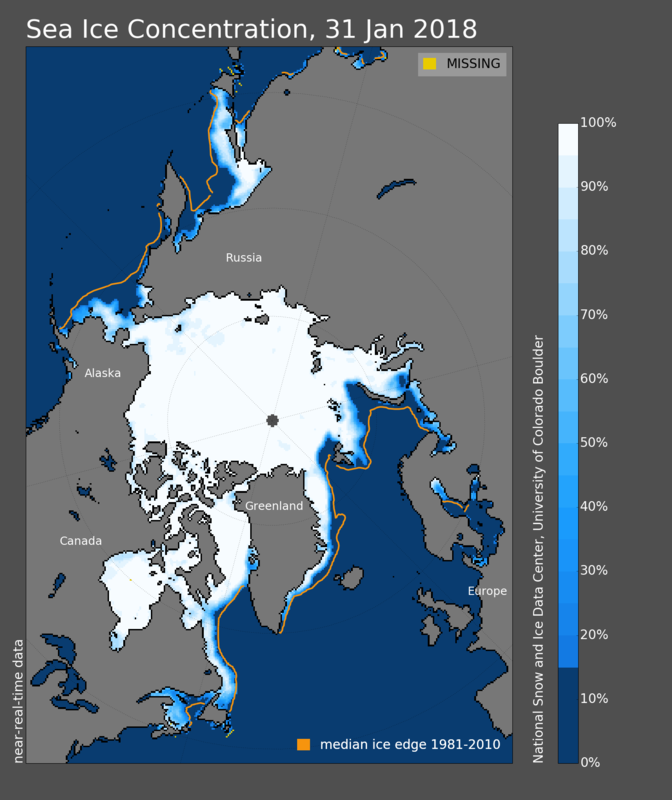 I show animations for snow cover and sea ice changes. These are produced by the National Ocean and Atmospheric Administration (NOAA). When you go to their site you can change the date range and go back over 10 years. You can change the speed and pause on any particular day. You can also switch to a northern hemisphere view. These are brilliant, very informative charts and great to play around with. I’ve re-set the link below to show the period for the whole of January but you can change the dates on the site and choose your own options. North Asian snow cover has been well above average since mid-October. During January this snow cover has expanded even further in Asia. 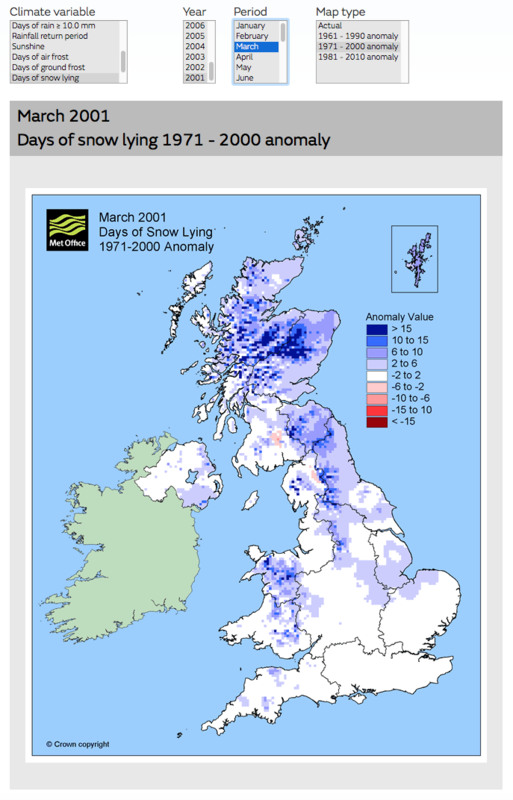 The snow cover in Europe has waxed and waned several times. It had briefly reached into central Europe before melting again. Snow cover has been pretty extensive in north-west Russia and over much of Scandinavia (the high plateaus there usually have a fairly complete snow cover throughout the winter months). The snow cover over the Alps and the Scottish Highlands does show up in stark contrast to the surrounding snowless lowlands. The conditions right now are not dissimilar to this time last year. That also started off with well above average October snowfalls and an above average Asian snow cover throughout the winter. 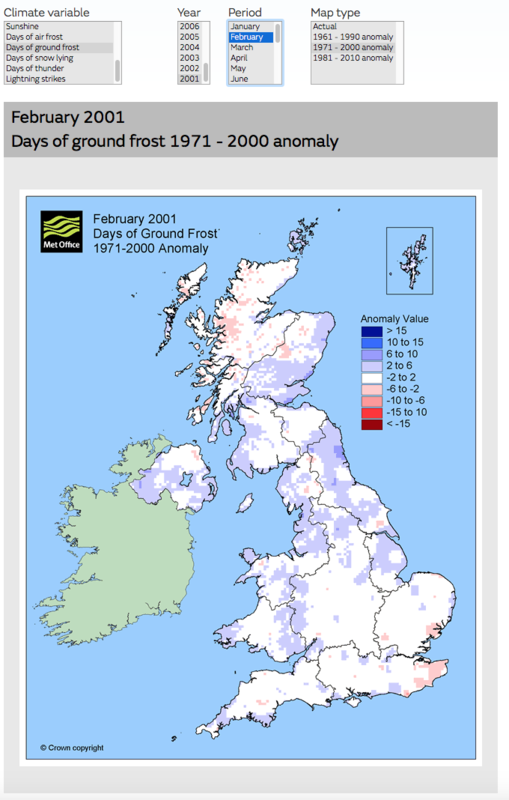 This year the snow cover has extended even (slightly) further south than last year. Remember that fleeting easterly we had in early February last year, well that spell followed quite a few days of extensive surface cold over much of Europe and you can see that the snow cover extended to central Europe back then. That spell was about a week ahead of the current upcoming cold spell and it did not last that long. I will be monitoring the Euro snow cover quite closely during the next few days. Once it forms, it looks like the deep cold will maintain it for quite a while and that in turn will take quite a bit to shift it - so another good sign (for coldies). Right, I'm starting to lose my new sense of "balance", so I'll close now! Thank you for the hard work your posts must involve and I admire your wish to deepen your knowledge. Great to see, for me it is too late to get into this but I do enjoy reading all your and other folks inputs and it makes such a pleasant change from how the main model thread is at times. Regarding the teleconnections argument, this opinion has appeared on a few occasions - beware - it is counter to the orthodoxy in meteorological circles. The data isn't really specialist, the AAM is fairly easily derived directly from zonal winds. The torques are treated stochastically with paramaterizations, using 10 metre (surface) wind and roughness to calculate surface drag and elevation data for MT - numerous papers describe the techniques involved. Don't understand the website's statement, if they have the algorithms in place all they need is model data, unless they are getting the info from somewhere else or someone is taking the code away with them. I never noticed that before .... the charts are updating in the previous posts .... must be the links that were used at the time. eg: this from a post by @Bring Back1962-63 on the 18th of Jan. Contrary to the opinions on this forum, the mountain torques are rarely considered directly in respect of SSW in the scientific literature. It's a rather niche subject which should be looked at after a grounding in rudiments which are explored in 99% of research. Good luck with your search for papers! 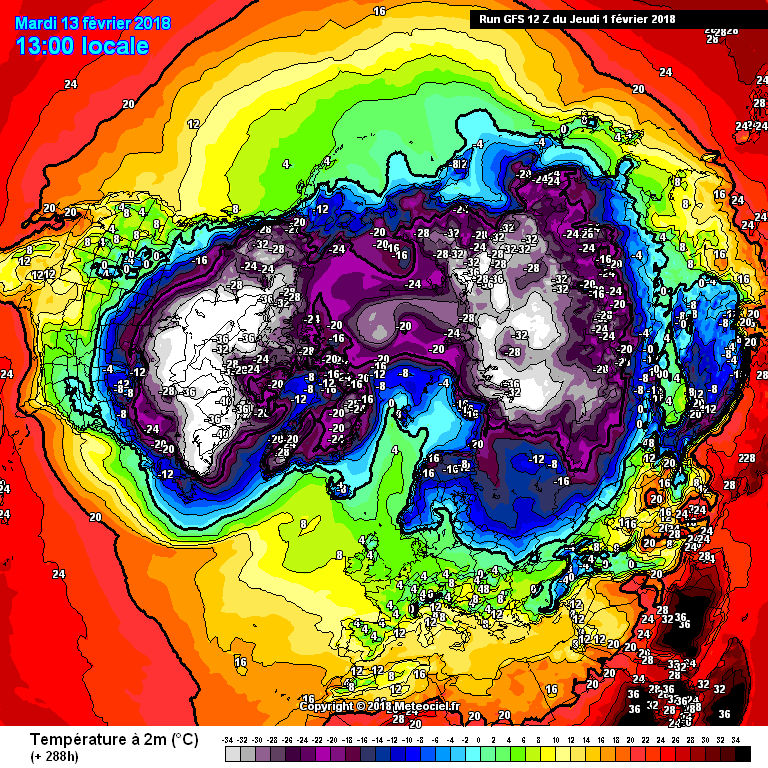 One warming event that can occur in the stratospheric winter is a Sudden Stratospheric Warming (SSW) ......... SSWs can be caused by large-scale planetary tropospheric (Rossby) waves being deflected up into the stratosphere and towards the North Pole, often after a strong mountain torque event. Very briefly now as it's getting late. Further to the challenge to find some papers on this subject from @Interitus above, I have already had plenty of support and suggestions. I know that @Tamara has PM'd Interitus correcting him on why she gave him a "confused" rating. Thank you Malcolm @Blessed Weather for your excellent post above and the paper dealing with the 2013 Sudden Stratospheric Warming (SSW) event and positive mountain torque (+MT) influences. Thank you also to @chionomaniac above for your comments with yesterday's Phillipe Pappin tweet. I think that Interitus did rather quote me out of context on several points in his two posts. On this matter, I suggested that the rapidly rising MT would be very likely to have an impact on the stratosphere but I did not actually say that this would be the cause of any SSW event (although it does seem that it might be!). As Chiono says, there are other factors at play as well. Like Blessed Weather, I openly admit that I still have a lot to learn about all these processes and this type of interaction is what this thread is all about. I will be asking some questions on the strat thread before too long. I should say that following the spike in AAM, with the GWO well into phase 5 and the big rise in Frictional Torque (+FT), it is vital to note that MT has only just begun it's big rise a couple of days back.There is the usual 10 to 15 days time lag for it to impact. We are likely to see this manifest itself with some more sustained blocking around mid-February. It will then be interesting to see to what extent it does impact on the stratosphere. I would "assume" (please correct me if any strat influences occur at a faster or slower time lag than trop influences), that if it does, that this would also be around mid month. You strat guys have been referring to the changes starting to take shape and these would also seem to be around 10 days to 2 weeks or so away (or perhaps longer). Then we have the usual downwelling/propagation delays which would mean another (perhaps - I know it can vary considerably) 2 to 3 weeks time lag. So, possible impacts around the turn of the month or in early March. If the +AAM/+FT/+MT do their trick and generate the sustained blocking, then we might see a pretty prolonged cold spell. All that to come and not to overlook the current colder weather. I still believe that we might see a brief milder interlude just before the main event in 2 weeks time. 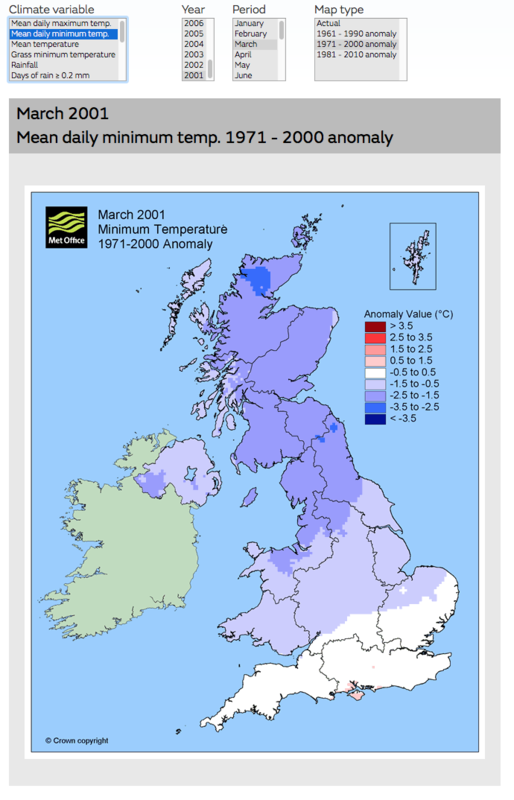 In fact I see that the monthly outlook from the Met Office now goes for a cold February and even into early March. They normally understate a prolonged cold spell at least until it's imminent. With their sophisticated forecasting tools that must surely be taking into account both the spike in AAM/FT/MT (+ the MJO at high amp in phase 7) and also stratospheric impacts. I.suggest that we all monitor this and report back later on when we examine with the benefit of hindsight what we have learned from this fascinating period. Could the record breaking MJO ( in phase 7 ) amplification be in any way linked to this *possible* SSW ? And if so could the *possible* SSW then have an impact on the further phases of the MJO mainly 8-1 ... long way of saying can they both be linked to each and correlate ?